After her Giller nominated novel, Jennifer Lovegrove is back with poetry that attempt to make sense of a difficult and unsettling world. 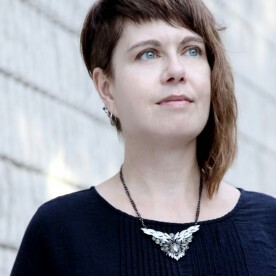 Jennifer LoveGrove is the author of the Giller Prize–longlisted novel Watch How We Walk, as well as two poetry collections: I Should Never Have Fired the Sentinel and The Dagger Between Her Teeth. In 2010, LoveGrove was nominated for the K.M. Hunter Artist Award for Literature and in 2015, her poetry was shortlisted for the Lit POP Awards. Her writing has appeared in numerous publications across North America. Her latest book is Beautiful Children with Pet Foxes. She divides her time between downtown Toronto and rural Ontario. 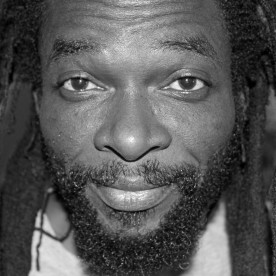 With 3 poetry collections and 3 poetry CDs songwriter and poet Segun Akinlolu also fronts Beautiful Nubia and the Roots Renaissance Band, Nigeria's foremost contemporary folk and roots music group. Segun Akinlolu was born in Ibadan, Nigerian in 1968. He graduated from the University of Ibadan in 1992 with a DVM degree and has since worked, at various times, as a veterinary doctor, itinerant salesman, historical researcher, performance poet, musician and bandleader.